It’s not just the small business that struggles with OSHA compliance for their employees and the ever changing landscape of government red tape. Fortune 500 companies have trouble communicating with their customers let alone their in house teams. Sound familiar? 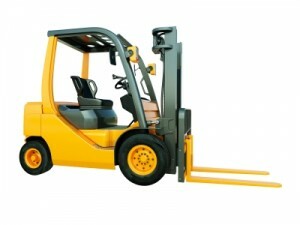 The fact is that you may have a forklift training and certification issue today. But the problem isn’t going away for good. You probably know that every 3 years you have to do it all over again (this is a common misinterpretation of regulation 1910.1789(i)(4)) and forget about new hires. Whether you have 1 or 100 operators to certify the task at hand doesn’t change. And, who has the time to research all the regulations and laws to make sure you got it right? Here’s the good news. We have already done all the research and development for you. Your program is already being used by small business, giant corporations and government agencies every day. They should be trust worthy, loyal and have at a minimum 3 years of actual hands on experience in the operation of the type or forklifts used at your facility. They should have the knowledge, training and experience to evaluate operators and a working knowledge of correct operations of the equipment. Consistently demonstrated an awareness of safety not just for themselves but their co-workers when operating a forklift. Now that you have an idea who to put in charge of forklift training how do you transform them into a “trainer”. It’s a fact, not everybody is comfortable getting up in front of the rest of the class and teaching or giving a presentation. Don’t get me wrong, some people love it. You know the guy – he never met a microphone he didn’t like. Seriously, it doesn’t have to be like that at all. We have devised a simple self paced program that takes care of all the classroom safety training in a simple manual form. Kind of like the way you got your drivers license back in the day. There are special DVD’s with Power Point Presentations to make sure your trainer get’s that professional look and are easily customizable for your company brand. In addition, there are simple forms for your designated evaluator to complete while performing the hands on evaluation. Review and follow the step by step instructions in the Trainers Manual. Sit your operator(s) down in a quiet well lit place. Print the operators manuals for each operator and type of equipment used. Have them read the content and jot down any questions they may have. Give them the multiple choice test covering what they learned. Review the test and answer any questions they might have. Conduct the site specific hazard recognition (like the gas main next to the dock as an example, or the low sprinkler, or the hole in the floor…you get the picture… and your trainer get’s a handy guide to walk them through the process). And the critical hand-on evaluation. The trainer get’s a simple checklist to document this most important element of the certification equation. Print your certificates of completion and wallet cards if you desire and tuck it all away in the safety file ready for easy redeployment for the next go around. Companies that have hundreds of operators and others that have just a few to certify have discovered the secret to easy and ever green forklift certification and training. Here are some links to more information from NIOSH and some reasons to ensure that your operators get the right training and go home tonight. Let us help you get started today and get your trainer trained, filled with confidence using a proven system and get this headache off your desk once and for all.